Photographer John E. Dowell Jr.’s latest exhibition, “Cotton: The Soft Dangerous Beauty of the Past”, takes viewers into the cotton fields to explore its beauty and the role it played in the U.S. slave trade. “Cotton is a part of the experience of every American. Cotton ran the engine of our economy,” said Dowell, 77, professor emeritus of printmaking at the Tyler School of Art at Temple University. The 35 large-scale photographs, installation and altarpiece also evokes the often overlooked history of slavery in the North, specifically in New York City. Dowell has built photographic images placing cotton on and around forgotten slave auction sites Wall and Pearl Streets in New York City, and Central Park, where Seneca Village, the first U.S. middle-class Black community existed. In response to his middle-of-the-night spiritual consult: “I assumed that my grandmother was all over me. I know about possessions, and I felt it was a real bona fide possession.” So he called several Savannah, Ga., cotton farmers and began shooting fields of cotton, similar to ones his grandmother traversed as a girl in South Carolina. Dowell, a Philadelphia native and descendant of the Great Migration, said his project revealed just how little he knew about cotton. His discovery allowed him to create a maze of huge curtains printed with images of cotton, much like the field his toddler grandmother was once lost in. “With this project, I want the viewer to feel, remember, wonder, think and examine their consciousness and still see the beauty of this plant that changed the world,” Dowell says. 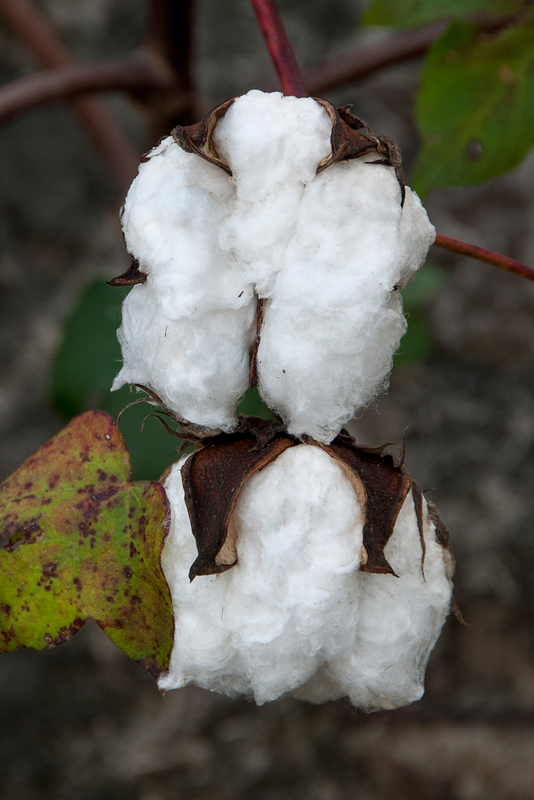 “Cotton: The Soft, Dangerous Beauty of the Past” exhibits from Sept. 15, 2018 to Jan. 21, 2019, at the African American Museum in Philadelphia (AAMP), 701 Arch St., Philadelphia. For more information, call (215) 574-0380.